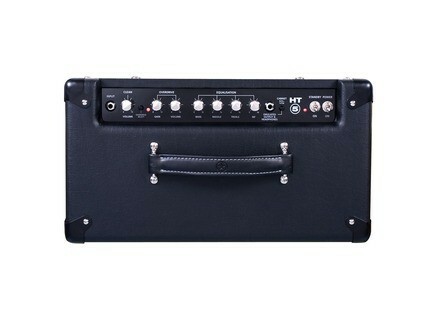 HT-5C, Tube Combo Guitar Amp from Blackstar Amplification in the HT-5 series. Blackstar Amplification is extending their HT-5 line of all-tube amplifiers to include three new models equipped with a stereo digital reverb. The new HT-5R combo and HT-5RH head are designed to give real tube sound. While the preamp uses a traditional 12AX7 tube, the power section uses the dual-triode 12BH7 tube wired in a push-pull circuit. This configuration is designed to produce the crunch and break-up characteristics of a traditional 100-watt amp. The HT-5R and HT-5RH are both two-channel amplifiers (Clean and Overdrive) that come with a channel-switching footswitch. In these new Reverb models, an additional Tone control has been added to the Clean Channel. As with other Blackstar models, the Infinite Shape Feature (ISF) works with the three-band EQ to create both U.K. and U.S.A. flavors of sound. The emulated speaker line output is designed to recreate the sonic character of either a 1x12 or a 4x12 speaker cabinet, providing a way to record or to connect to a larger sound system. Unlike other models, using the emulated line output will not cancel the internal or external speaker sound. This is designed to allow the HT-5R series to serve as a monitor source. This same output can be used with headphones for private practice. The Series Effects Loop is equipped with a level switch. A line input is included, allowing the player to jam along with a CD, MP3, etc. The HT-5RH Head amplifiers are compatible with Blackstar’s HT-112 extension cabinet. Each cabinet holds a 12" custom-designed Blackbird 50 speaker. This same speaker is used in the self-contained HT-5R Combo. 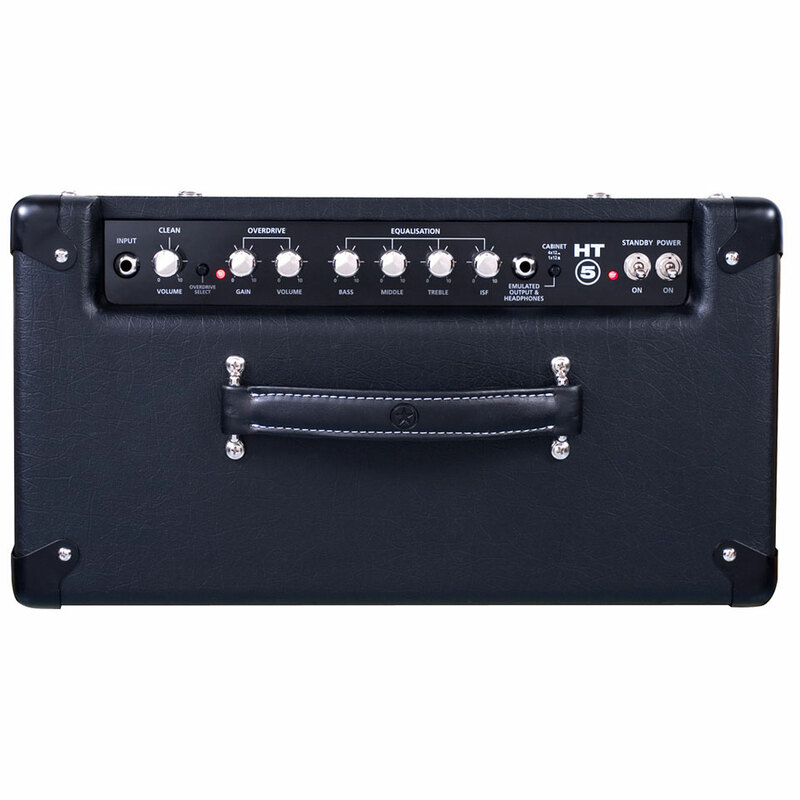 The HT-5RS Mini Stack is also available, which includes the HT-5R Head and two HT-112 Cabinets. For more information, check out Blackstar. [Musikmesse] Gretsch G6120 Duane Eddy Gretsch honors Duane Eddy with the introduction of the G6120DE Duane Eddy Signature Hollow Body guitar model. [Musikmesse] New Takamine Models Takamine introduces four new guitars, a quartet of new acoustics including the limited Yazokura. [Musikmesse] Korg Pitchclip Pitchclip is a chromatic clip-on tuner for guitar.